detailed that in 2013, the rate of stress, depression, and anxiety reported among people had risen compared to the previous two years of research. In particular, workplace wellbeing was also reported as lower compared with previous years. Large companies understand the pressures and stress of the modern work environment and some have begun using mindfulness in the workplace from the top down.Mindfulness enables people to neutralise some of the daily stressors people encounter and improves focus, clarity and creativity. Mindfulness is non-judgemental, open and curious awareness of oneself in the present moment; such as awareness of our thoughts, emotions, and reactions. Research shows that developing this level of introspection has positive effects for reducing stress levels, regulating emotions and emotional reactions. 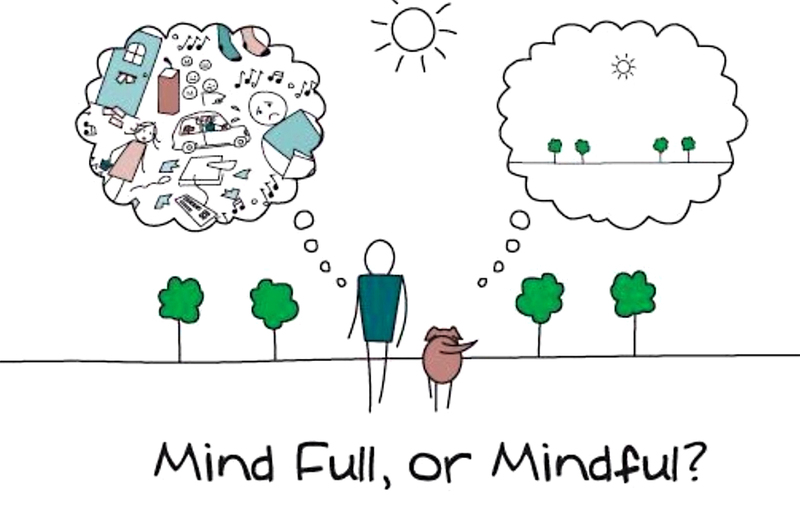 People who routinely use mindfulness experience enhanced decision making as well as decreasing negative thought patterns which can interrupt positive functioning throughout the day. Seeing the positive effects mindfulness training can provide, it is no wonder that large companies such as Apple and Google (among many others) are providing their employees with the skills mindfulness can provide. Increasing effectiveness at work, the ability to handle conflict better through emotional regulation, and decreased workplace tension are just some of the benefits that implementing mindfulness practices offer. Google is the perfect example for implementing mindfulness within the workplace. Google run seven-week long classes for employees to focus on developing mindfulness skills useful for dealing with the stressful corporate world. This may seem extreme but underlines how much importance is placed on the ability to be introspective, mindful and invest in psychological wellbeing. Introducing simple mindfulness practices into the workplace can have a large impact by reducing stress and increasing focus. In any industry, increasing the wellbeing of employees is always of benefit to a company. Through the techniques of mindfulness, the added development of increased emotional stability and positive thought patterns only serves to improve morale and the work environment.